These lovely ladies rocked the blue carpet for a cause. Eve, Vivica A. Fox, Adrienne Bailon and more strutted the blue carpet during Metropolitan Fashion Week at Warner Bros. Studios in Burbank, CA to celebrate the Austism Speaks “La Vie En Blue” Fashion Gala. 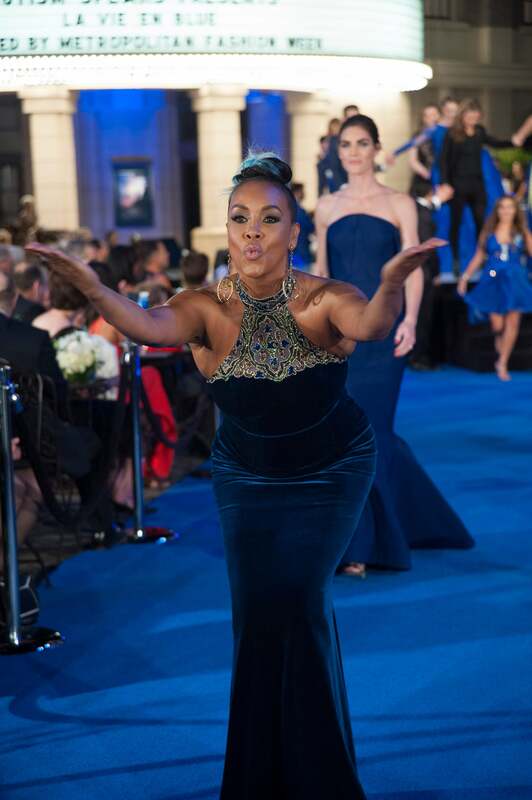 Decked in blue from head to toe, these Hollywood beauties slipped into captivating gowns that represent a style all their own as they came together for this gala, which doubled as a fashion show, to honor Autism Awareness Month and shed light on the social disorder. If you’re wondering why blue was color of night it’s because blue is the official color of Autism Awareness Month. While Eve hit the blue carpet showing off her sassy but classy persona in a cut-out Usama Ishtay gown highlighting her stunning curves, Vivica A. Fox rocked a blue crushed velvet halter gown adorned with a multi-colored embroidery across the neckline as Adrienne wore a tapered and sparkling blue chiffon ensemble. Take a look at look at the ladies in blue below.